When was the last time you needed to unlock a door, but you couldn’t? A fast door unlocking service is crucial for you to keep your daily routine and to manage the goals you’d wanted to accomplish during the day. Many people need door unlocking service in one day or another, simply because when our mind occupied with something else, we intend to forget our keys. Door unlocking service covers all type of lockout incidents and door opening. It doesn’t matter if you need to unlock a car door, house door, or office door. Unfortunately, a lockout scenario can come at least when you expected. For instance, you lock yourself out of your car because you lost your key, or when you stop for gas. At first, when you realize you’re locked out, you get in shock, and you don’t believe you actually locked yourself out. Few more minute later, you start to get frustrated. Please stay calm and read all this page to the end because we definitely can help. LockTech24/7 is a 24-7 emergency locksmith that provide all kind of fast lockout services. Not only we can unlock the main door of your home, but also can unlock a heavy commercial door in your business. As a matter of fact, we also unlocking bedroom doors, and even opening safe doors. As we seen above, you can rest assure that we come to your aid any time you need emergency lockout service, no matter day, or night. 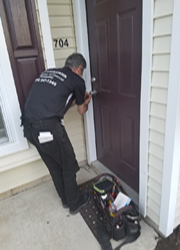 In addition, our locksmiths are mobile to arrive at your location wherever you need us in the Lehigh Valley, PA. 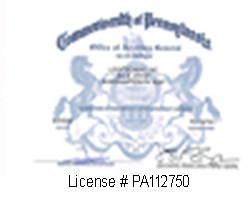 Whether you’re in Allentown, Bethlehem, or Easton, we can help. We have the latest lock picking tools and unlocking door accessories. Our locksmiths can pop a lock and unlock any door you need, in a very short time. We offer 20 minutes response until one of our locksmiths arrive on site to open your door. Call us when you need an emergency door unlocking service. Likewise, please describe what type of door you need to unlock.